This article and video is to show off a gun that is unique to me because of where it came from. 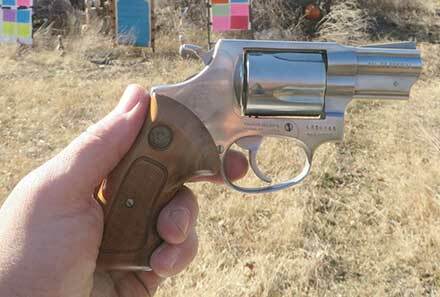 This is a report on a Taurus Model 85 stainless steel revolver. One that's over 20 years old. When I first got it out of the torn, worn taped up black box I wondered what it was going to look like. To my astonishment, what appeared to be a brand new stainless steel revolver emerged. 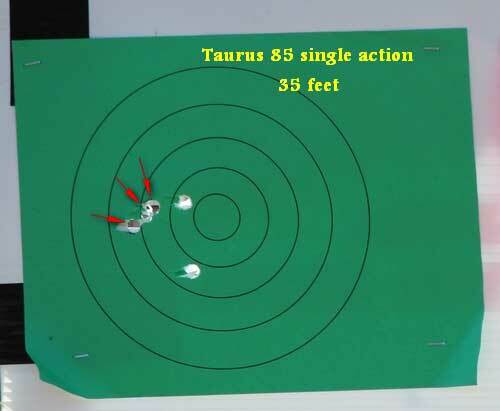 The gun, a Taurus Model 85 is in the J-Frame size range. The one that was manufactured around 22 years ago was typical of a snub nose revolver in size and construction and appearance. The gun was not only unique to me because it was old and new but because it belonged to my mother. My dad bought the gun around 1992 because he thought they needed it to protect their home. After he bought it and loaded it they never fired it..
Twenty years later I opened the box and decided to try out the revolver. I just shot enough round to test the gun for safety, then took it back to my mother. She kept it in the box for another six months or so, then had to go into a nursing home. Six months after that, she died. When we cleaned out my mother's apartment I pulled the Taurus box out from under a cushion on her couch. She had kept it boxed and loaded in her apartment for almost 15 years. It is now affectionately referred to as Momma's Gun. 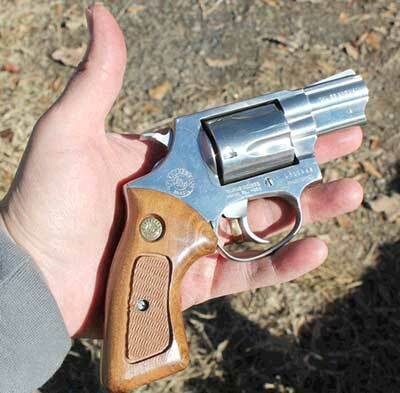 This Taurus Model 85 looks new cosmetically. It's a good looking gun with nice Taurus wood revolver grips, including the insignia. 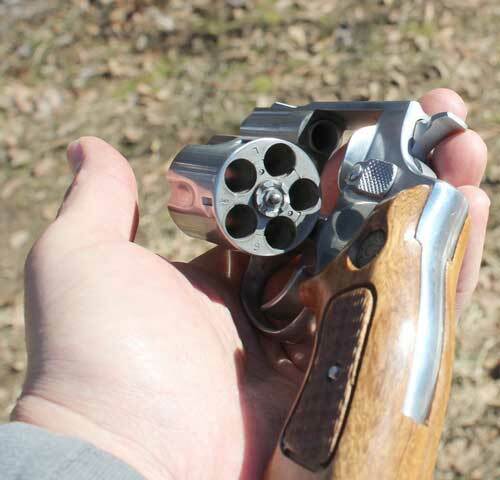 It's a five shot revolver typical of guns this size. For the range session review here, insofar as the gun's performance, it was pretty remarkable. I only expected a difficult, hard to center gun that would be challenging to control. The first couple of loads I fired were with some old .38 special wad cutters. I thumb cocked the gun on the first target from about 35 feet and was almost startled by what I got. I easily kept the gun on target and you can see by the green target below it was clearly sufficient for self defense from a gun that size at that distance. I shot a few more of those with similar results. This gun is a .38 special, but like others of the same designation it will take .38 special +p ammo safely. That doesn't mean you should shoot them through it extensively. To do so will give the gun a beating that will shorten the life of it. In this range session, because I would carry it with +p ammo, I tried about fifty rounds through it. I was pretty astounded. From 35 feet, this time shooting double action (which is what would be necessary in an emergency) it stayed in the self defense zone. 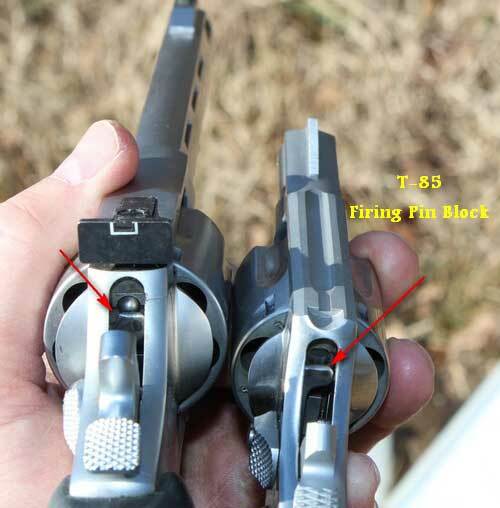 Below is a comparison of the Taurus Model 85 .38 special and my S&W Airweight .38 special +p revolvers. The frame sizes are virtually identical as are the barrels that are both just under 2 inches. What is noticeably different is the weight and grip size. 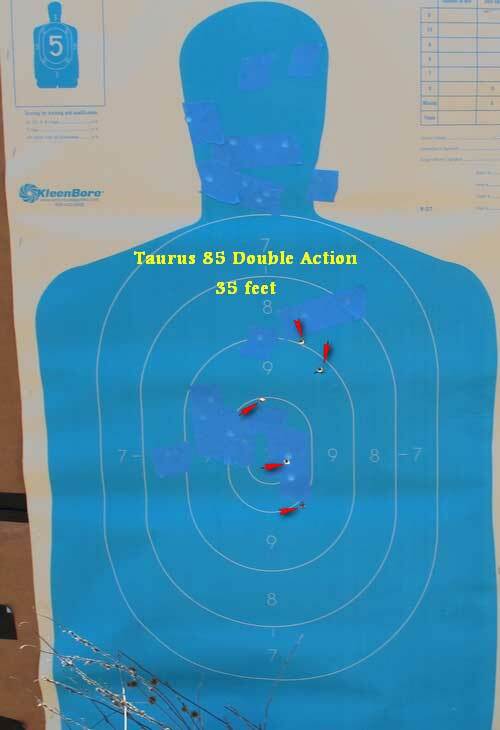 The Taurus 85 is heavier than the Airweight. 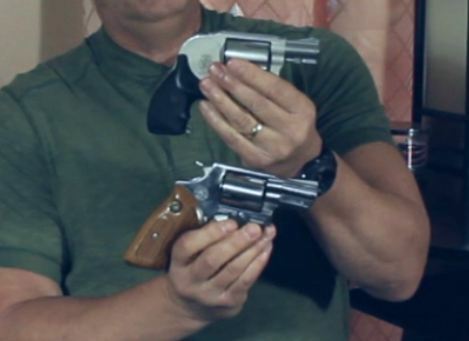 I don't know how much this 20 year old revolver weighs, but it would be more towards the weight of a Ruger SP101.The stainless steel construction adds heft to it that the alloy of the Airweight lacks. Combined with the full grips the gun is more than just a point and shoot emergency revolver. Like I tell most everybody who asks, your first consideration in getting your primary carry gun should be a gun you can get a full grip on. The model 85 is a serious shooter that you can aim from some distance and count on hitting your target if you do your part. Like most guns this size the sights are molded into the top of the gun. Thankfully, the sites on this one are lined up solidly. Even with the age of this gun, it is built like a modern revolver as far as essentials. That includes the firing pin block that is in front of the pin when the hammer is thumb cocked. If the gun is dropped in that condition and the hammer drops the block will not move, preventing the gun from firing. The trigger must be pulled for the pin block to move and let the hammer strike it. With everything above, if you didn't watch the video, you've probably guessed by now I am approving this gun for concealed carry. 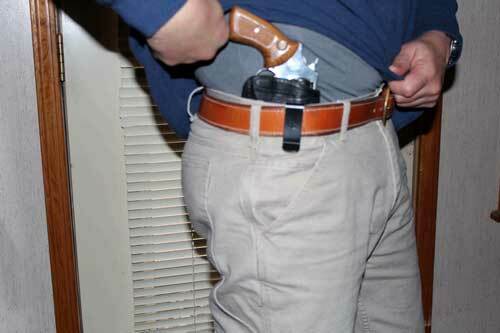 It fits very nicely in the leather Don Hume IWB holster shown below. This model and these type revolvers are found in good used condition in gun stores across the U.S. When going through the gun stores, it's a good idea to keep your eyes open for one. They're worth owning and generally come far from breaking the bank. In summary this is a gun that surprised me. It came out of an old box still in brand new condition. It shot as straight and was as controllable as any gun close to this size that I've owned. It was controllable and confidence building either thumb cocked or in double action. I'm sorry my mother is gone. But I'm glad I found this revolver and I'll do my best to do honor to Momma's Gun.